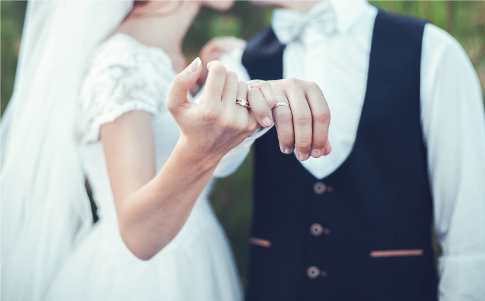 The period between saying “Yes!” and “I do” may last a few weeks, months or even years, but it can still feel like one of the most special times of your life with a lasting engagement ring that seals your love for one another with a sparkle and shine. !Xam Diamonds can craft custom engagement rings for her or for him, each a one-of-a-kind work of art handcrafted to the highest standards at our Toronto workshop and gallery. 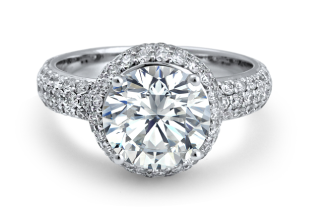 If you’re looking for engagement rings in Toronto, you’ve come to the right jeweler! !Xam’s designers and creators understand the immense symbolism that exists within every piece they make. An engagement ring from Toronto’s premier jeweler isn’t just a token of love between two people, it’s a symbol of !Xam Diamond’s life-long commitment to transforming the ring of your dreams into a sparkling reality worn on your left hand. Diamond-studded rose gold engagement rings convey a multifaceted balance of beauty and strength. 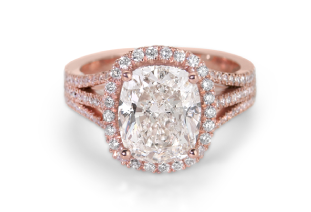 The focal point is an exquisite cushion-cut diamond, captures and reflects the gentle tones of the rose gold. A halo of smaller diamonds provides emphasis befitting a central stone such as this, and the central setting gracefully unites with the engagement band by way of a three-row, split-shank design fully inlaid with diamonds as well. Truly an engagement ring your sweetheart will cherish. This platinum engagement ring features the timeless perfection of a round solitaire diamond resting upon a dais of smaller stones. Beneath, its platinum gold engagement band effortlessly draws the eye upward along its own rows of diamond inlay. Together, they unite to create a ring of unparalleled refinement. You have no shortage of options when searching for engagement rings in Toronto, but we hope you’ll put !Xam Diamonds at the top of your list. 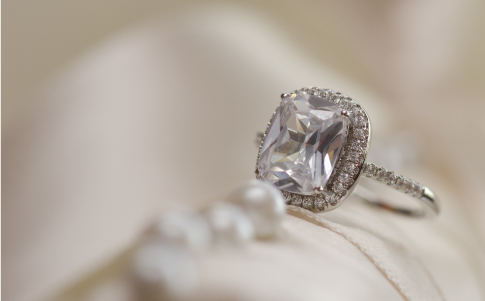 For elegant custom designs and impeccable service, engagement bands in Toronto simply don’t come finer than ours. Stop by our Toronto jewelry store gallery and workshop, you’ll be wowed by the range of ring designs and custom wedding bands on display. Let’s talk about your perfect engagement ring!